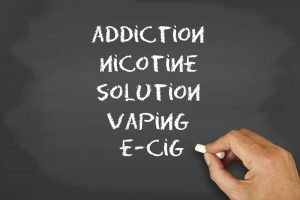 An announcement released by the FDA on August 4th, could indicate a turning of tides in their receptiveness to vaping as a smoking alternative. American public health officials have rallied against the vaping industry since its inception in 2003. Unlike nicotine gum or patches, e-cigarettes offer a much closer simulation to smoking which aids many in their quest to quit. However, the hostility expressed against the products has inhibited smokers looking to pursue a less harmful smoking alternative despite evidence of its success. A recent study conducted by the British Medical Journal has discovered that attempts to quit smoking and tobacco smoking rates both increased significantly when e-cigarette sales began to rise. The new FDA commissioner, Scott Gottlieb, went on record stating that he envisions “a world where cigarettes would no longer create or sustain addiction, and where adults who still need or want nicotine could get it from alternative and less harmful sources.” Gottlieb believes non-addictive cigarettes should “be the cornerstone” of the FDA’s efforts to ultimately eradicate nicotine addiction. In alignment with this newfound openness to innovation, the FDA has extended its deadline for e-cigarette companies to keep their products on shelves. The regulations deadline published last year has been moved to August 8, 2022 instead of the original November 8, 2018 deadline. The FDA states that they intend to use the extra time to analyze public opinion and improve overall guidance for the vaping industry. Many in the industry hope that the FDA will use this time to develop transparent, actionable, and straightforward criteria for approval of new and current vaping products. Although smokers still have a while to go before they can expect to see more relaxed regulations of vaping products, Gottlieb’s self-proclaimed commitment to harm reduction seems to be a step in the right direction.